We're thrilled to share the locations and dates of the two 2018 Scala Days conferences: Scala Days Europe will be at KOSMOS Cinema in Berlin on May 14-17, 2018. Scala Days North America will take place at the Sheraton New York Times Square on June 19-21, 2018. Now is the time to submit sessions and mark the date in your calendar. The two conferences in 2018 will provide up-to-date and practical knowledge on Scala for software developers, software architects, team leads, and researchers. The hosts of both conferences invite experts in the field of Scala and its application in business and academia to [NOW CLOSED] submit presentations and two-day tutorials by January 7, 2018. Scala Days aims to provide topics relevant to developers using Scala in varied businesses. Scala Days Europe 2018 is a fantastic and unique occasion to meet with Scala-using professionals and companies to exchange ideas and form business relations, as well as to discover the latest practical and theoretical developments concerning the Scala language. Scala Days Europe will bring together developers from all around the world to share their experiences. They talk about new ideas and creating applications with Scala, Akka, Play, Typelevel projects, and other community libraries and tools. Scala Days provides a unique opportunity for Scala users to interact with the key contributors to the language, Scala community leaders, and everyone using Scala. Scala Days North America 2018 brings together developers from all corners of the world to share their experiences and new ideas around creating applications with Scala and related technologies, like Spark, Kafka, and Akka. 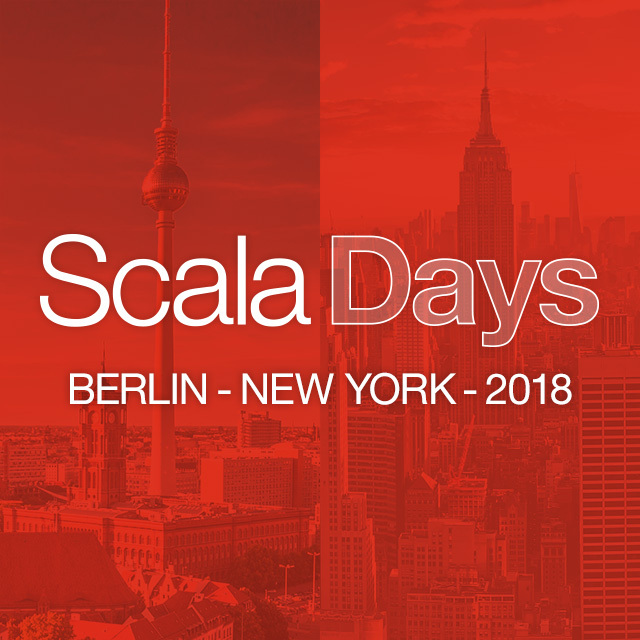 Scala Days provides a unique opportunity for Scala users to interact with the contributors to the language and related technologies and connect with fellow developers.